Rihanna is currently preparing for today’s Fenty x Puma fashion show in Paris and she shared a few photos of the process on Instagram. Rih was hard at work picking nail looks with manicurist Jenny Longworth in this shot. She wore a few pieces by Balenciaga. The superstar/fashion designer wore a black logo baseball cap from the Resort 2017 collection. The $285 hat sold out everywhere online. Rih loves Balenciaga denim right now. Just a few days ago she rocked a black jacket and jeans by the brand. Today she opted for their boxy denim jacket that has padded shoulders. Get it here for $1,265. 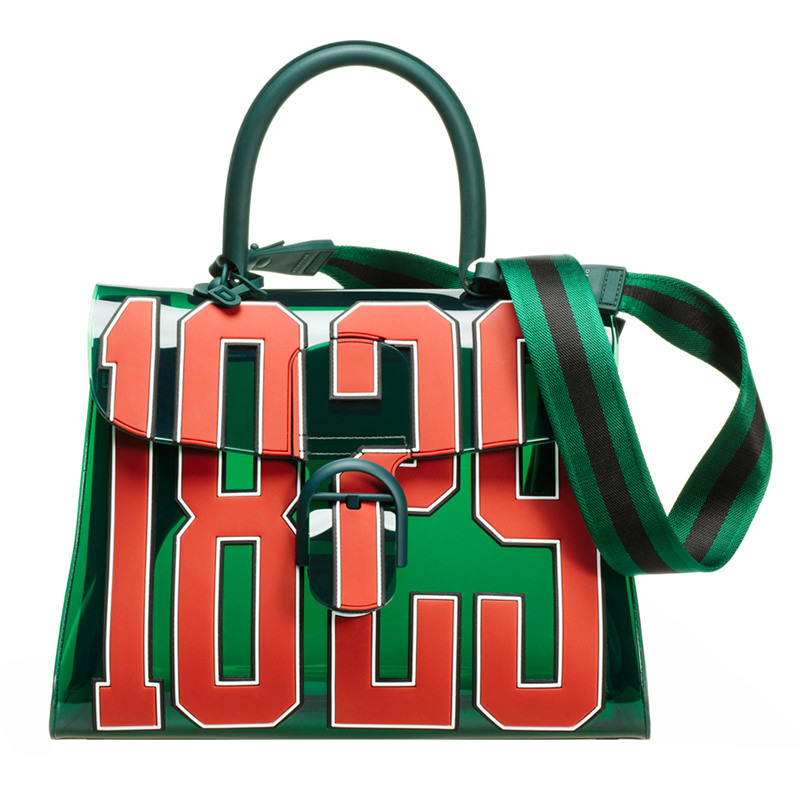 Next to her is a green vinyl handbag by Delvaux. Released last month, the Hero bag boasts the brand’s founding year in bold red numbers on the front. This is limited edition and only sold in stores. FYI: You can live stream the Fenty x Puma fall 2017 runway show on the official facebook page. The show starts at 3pm EST/9pm CET. The theme this year seems to be school as the teasers hint at things like university and detention.